It's time to close this project by adding the leader of the Goblin Army I've painted these weeks! Gorbag, the vicious and filthy captain of the Goblins is ready. a little bit dark and dirty like the real character. and some in black background..
That's all for now! Stay tuned for some 1:32 figures in the next posts! Nicely done, I really need to get some work done on my collection! Its just the same old enemy TIME!! Thank you Russ! Seems like i'm getting better in that issue the last two months...Not something critical but for me is a great achievement to paint all these figures the last month..I just dont sleep so much ...HaHaHa!! Disgusting he is...a great job you've done! Thank you Michal! I like more the Orc figures than the Goblins! 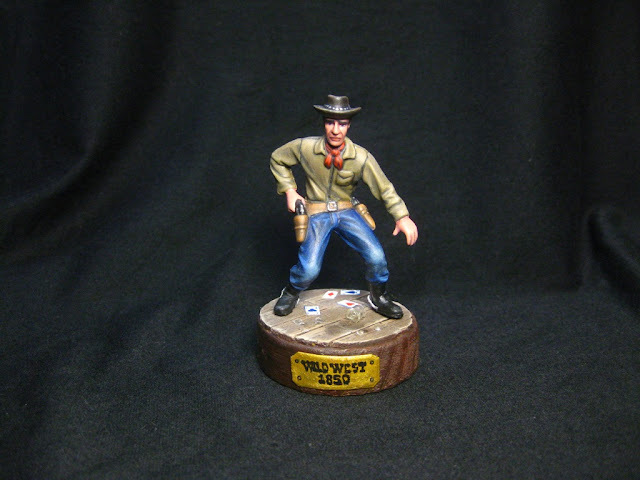 Scary figure, well painted! Perfect for the season! Ha! You are right, but this wasn't on my plans ..haha..
Oh ! I didn't notice this one, really cool ! The face is really nice, it seems like the real one in the movie ! Thanks David! I happy that a LOTR expert says that! 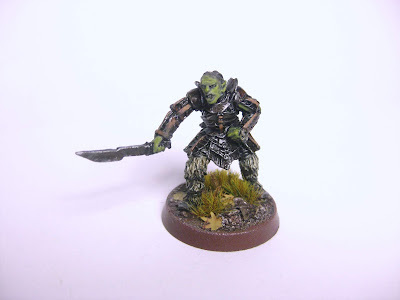 Lord of the Rings ,Goblin Army part 3 "Archers"